I’ve never had a mojito I didn’t like and I don’t think this one will break that streak. Mint, simple syrup and blueberry vodka create a refreshing summer cocktail. 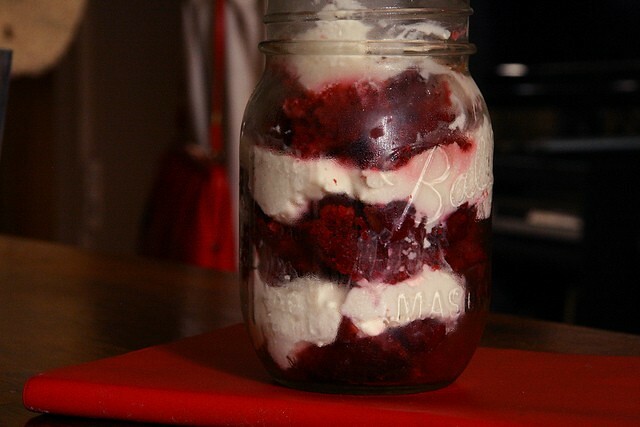 Not in the mood to bake a dessert for that 4th of July picnic? This semi-homemade berry trifle makes a beautiful dessert without the long hours in a hot kitchen. The market stands are overflowing with berries and what better to pair them with than shortcake? Try this vegan version if you want a healthy treat. Summer is the perfect setting for campfires and marshmallow roasting. I recently learned that those fluffy white corn syrup puffs can actually be made at home thanks to Marshmallow Madness, the marshmallow cookbook.